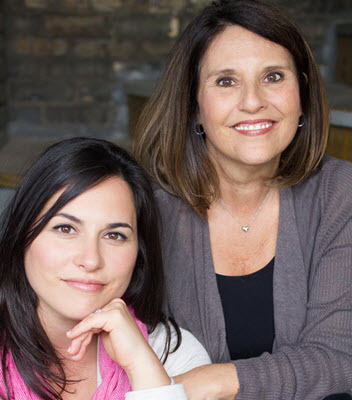 We are Anne Kaplan and Lindsey Kaplan Alarcon, @properties agents specializing in real estate sales and Relocation in the Lake County IL and Northern Cook County. We service communities of Buffalo Grove, Arlington Heights, Long Grove, Vernon Hills, Lincolnshire, Gurnee, Grayslake, all of the North Shore and surrounding communities stretching to the Wisconsin border. We handle all types of property- single family homes, condos and townhomes, new construction and investment properties. We also have extensive experience in helping transferees buy and sell homes. Call or text, Anne Kaplan, @properties, Buffalo Grove/Arlington Heights Real Estate Agent at 847-401-7904 or email her at akaplan890@gmail.com. Put their 30+ years of experience to work for you. We love this new luxury condo in Roselle. Completely updated, black stainless steel appliances and steps to the Metro! Mid Century modern home on 1 full Acre in Long Grove! Anne and her associate, Lindsey, recently helped my boyfriend and I buy a home in the Buffalo Grove area. This was our first time buying a home, and Anne and Lindsey’s expertise and advice were invaluable. They were extremely professional, very patient and helpful, and maintained great communication throughout the entire process. They both went above and beyond to show us dozens of homes at any time that was convenient for us and were always on top of new listings before they even hit the MLS. I highly recommend Anne and Lindsey and will be referring my family and friends. Anne and Lindsey Kaplan were energetic and knowledgeable right from the first day. Their response time was always quick, and they handled any and all issues in the process smoothly and professionally. I would definitely recommend them to anyone who would like a positive sell/buy house experience! Working with Annie and Lindsey is amazing. They are professional, knowledgeable, attentive and kind. They truly listen to the buyer or seller and make everY attempt to take that knowledge gained and utilize it to best assist the client in any way possible! I never got the feeling that they were trying to "sell me" on anything...Rather it was just a process of gathering information to make things better for our family. They are wonderful to work with. I would highly recommend them to anyone who is looking to buy or sell their home.